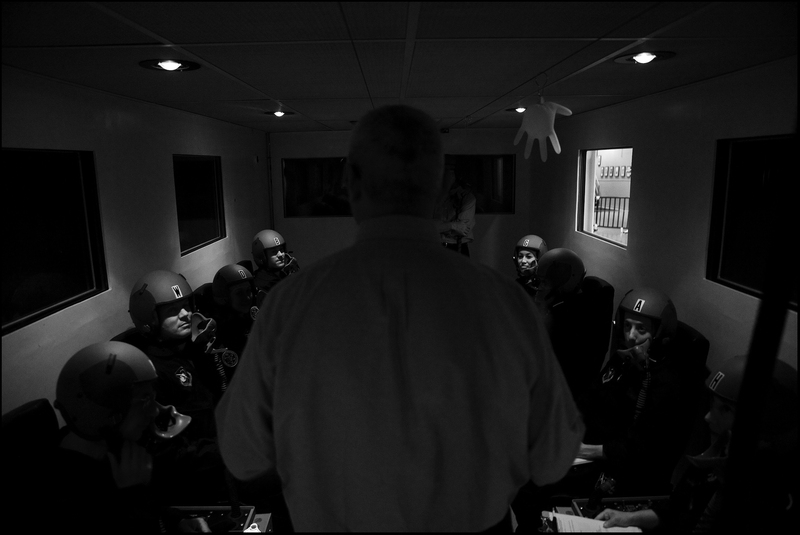 TRAINEES RECEIVING FINAL INSTRUCTION ON HYPOBARIC CHAMBER Oxygen is removed from the chamber to simulate high flight altitudes. The purpose of this particular exercise is for trainees to recognize the onset of hypoxia. Every persons body will react differently.